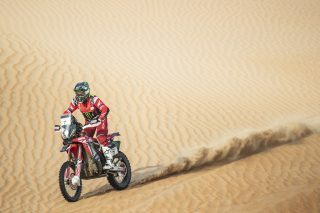 The final stage of the Abu Dhabi Desert Challenge saw José Ignacio Cornejo take third place on the race’s final podium. Is the first time in the World Championship podium for the Chilean Monster Energy Honda Team rider, who was able to complete the 214.5-kilometre special error-free and make it back to the Yas Marina circuit in third overall spot after five days and some 1900 kilometres of intense racing in the Emirati desert. 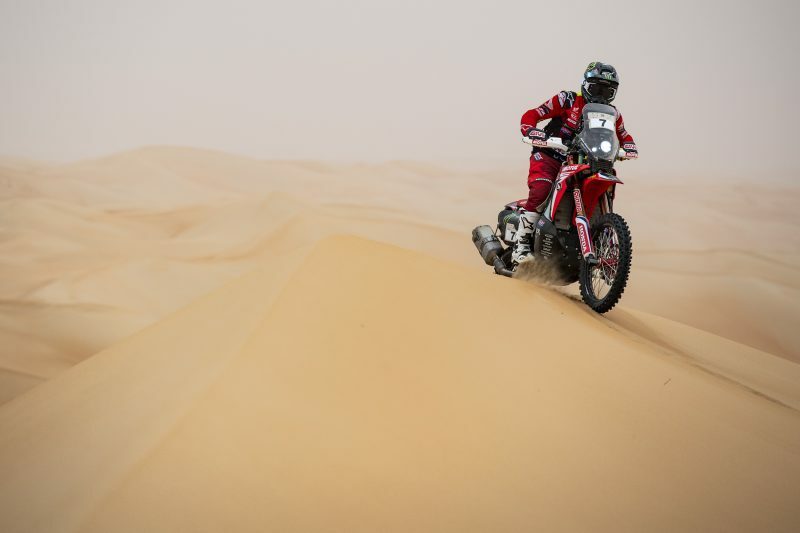 Nacho finished the fifth and final stage of the rally in fourth position, crossing the finish-line less than two minutes behind the runner-up. 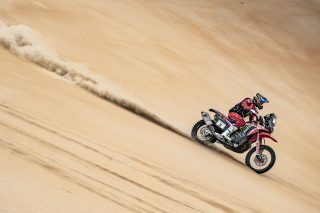 The Chilean, besides winning two stages of the rally, also made it onto the podium in second place in the junior category. 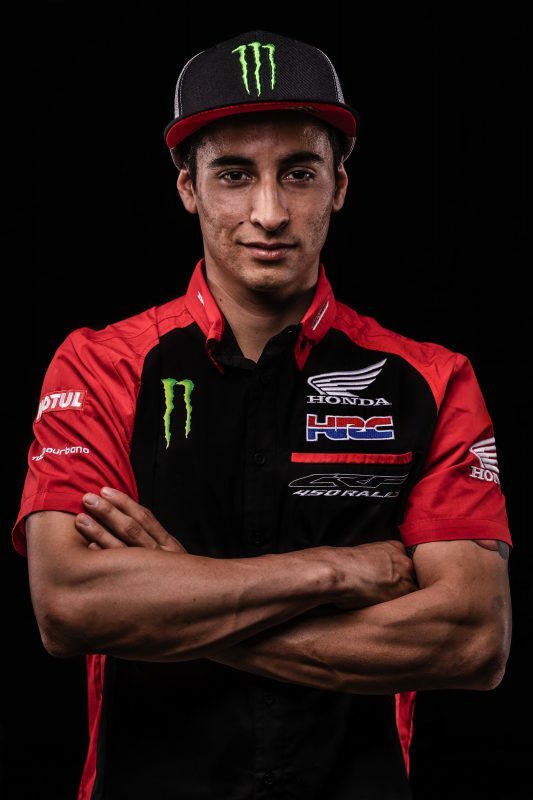 Monster Energy Honda Team brother-in-arms, Argentine Kevin Benavides, finished behind Cornejo, both in the day’s stage – posting fifth – as well as in the overall final standings where he has occupied fourth place. For the rider from Salta it was a triumph of sorts, to be able to finish the race in the top five, while burdened with a recent shoulder dislocation and a fractured rib. 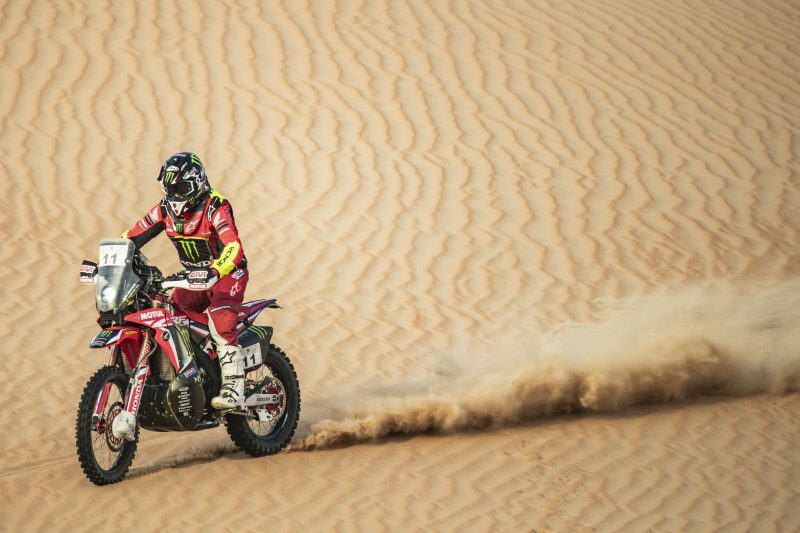 It turned out to be a similar final balance sheet for the Spaniard Joan Barreda, who two weeks prior to leaving for Abu Dhabi broke three ribs and dislocated the left clavicle. 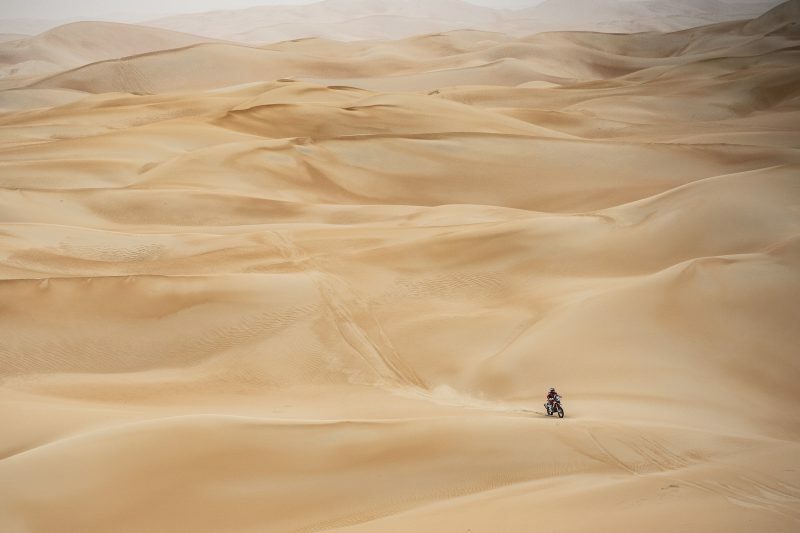 In addition, on the second day, his right leg was pierced by the motorcycle’s foot-rest. 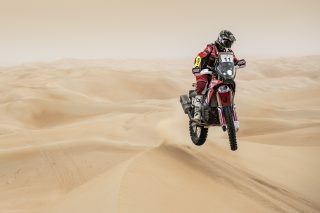 Despite the woes, Barreda decided to battle on in the race, and after placing second in two stages, finished in third spot on the final day. 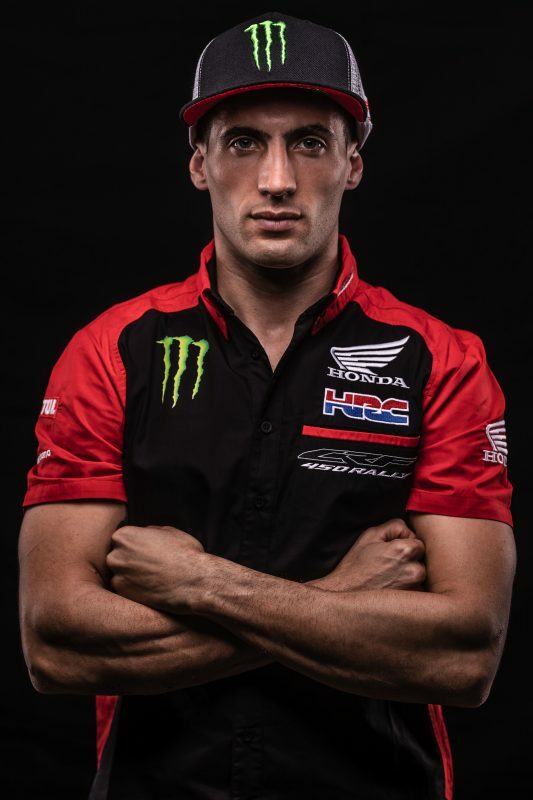 The rider from Castellón had been sanctioned with a heavy penalty after being unable to conclude the first stage with a mechanical issue. 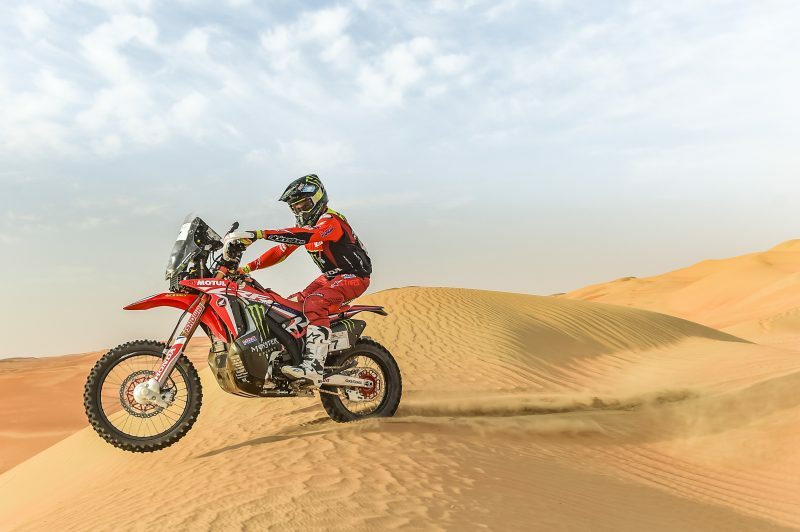 Monster Energy Honda Team return to the action again with the second official round of the world championship, the Silk Way Rally, which will take place from 6th to 16th July, on a trek through Russia, Mongolia and China. I'm happy to finish because the goal was to reach the end. It was a very hard week physically. 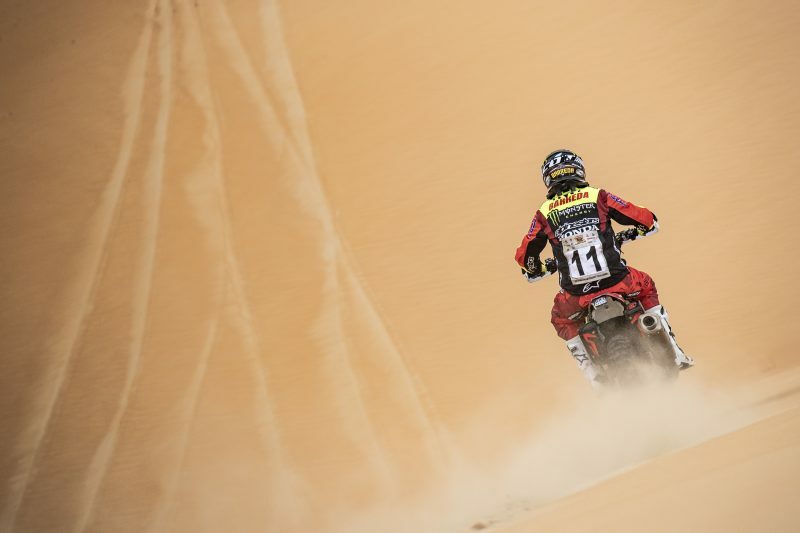 It was not easy to ride with a dislocated shoulder and a broken rib. 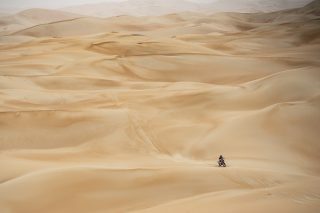 I was at 50%, but I gave 100% of that 50, and it's very good to be able to finish with a fourth place. Every sacrifice has its reward and we must bear in mind that this championship is very long and we hope it will have a good ending. 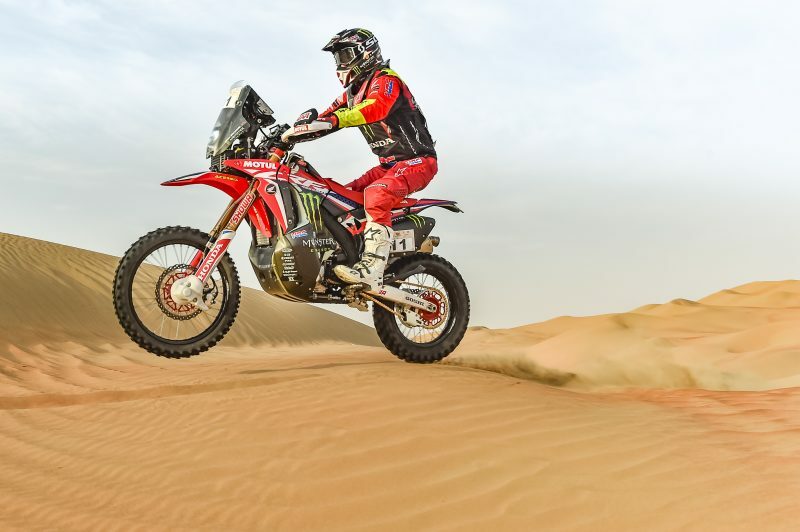 I am very satisfied because the Abu Dhabi Desert Challenge is a very physical rally, generally because of the extreme heat and the dunes that have to be overcome every day. Apart from the injury, it was great to be able to compete again, to get back to race pace and experience the physical aspects and the speed. So it’s been a good start to the season, especially taking into account the circumstances with which we arrived here and the mechanical problem we had on the first day. 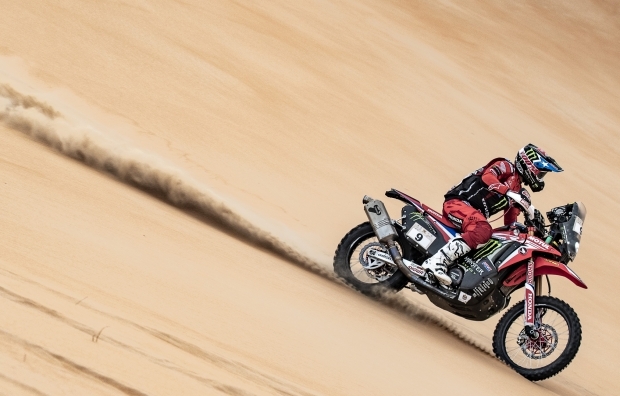 From there, we were able to draw some positive conclusions which is what we came here for. 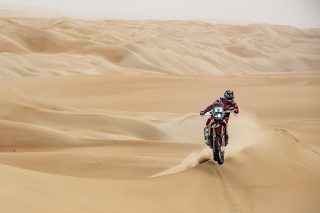 Today was a difficult day, opening the track; I am happy. I opened the track from beginning to end although unfortunately they took back a lot of time from me and I ended up in third position in the general. I am equally happy to get my first podium in the world championship, to go home after having won two stages and having opened the track during two more stages. Certainly this experience will be positive for my future. We are on the right track. 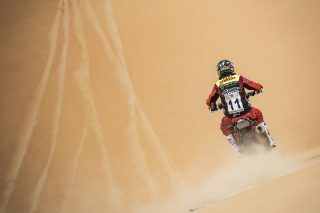 I'm happy with my riding, and I’m picking up more and more pace. 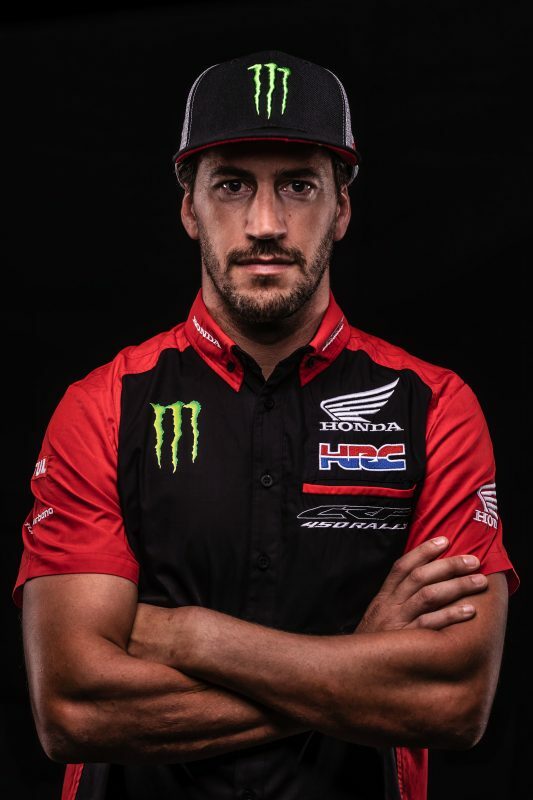 I want to thank the Monster Energy Honda Team for all the hard work these days, as well as my coach and my family who are at home supporting me. Thank you very much to all.